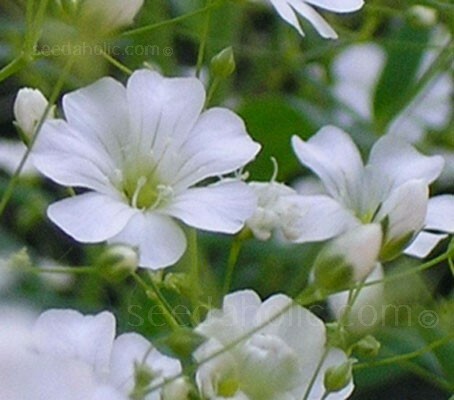 Gypsophila elegans 'Covent Garden' is one of the daintiest of flowers with a misty grace which is not found in other flowers. Each stem has hundreds of tiny, single white flowers on wire-thin branches, giving an airy impression. 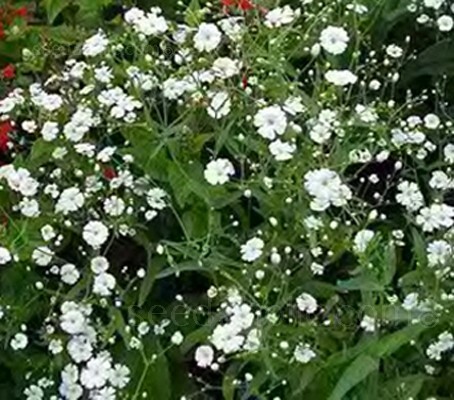 The flowers themselves are tiny; the plants are covered with myriads of white blossoms all during the summer. The species name elegans simply means 'elegant'.